theHunter is a first person hunting simulation video game developed by Avalanche Studios. You're a hunter who actively hunts for wild animals in the vast, beautiful wilderness. With Tobii Eye Tracking, theHunter takes immersion to a new level with features such as Aim at Gaze, Binoculars at Gaze and Extended View with both eye tracking and head tracking. Extended View allows the center of the screen to follow your eyes as your gaze reaches the edge of the screen, broadening your field of view. Head Tracking also allows the scene camera to follow your head movements in rotation allowing another layer upon Extended View. This allows you to take in more of the breathtaking scenery and maybe you will even catch a glimpse of Bambi. Aim at Gaze in theHunter has an aim at gaze feature for your rifle which allows you to aim in the direction you're looking which adds a more realistic experience to hunting. The center of the screen follows your eyes as your gaze reaches the edge of the screen, broadening your field of view, and increasing your situational awareness. How? Look towards the edge of the screen and watch how the camera moves towards the direction of your gaze. This can be adjusted. Moving your head up and down, and side to side will move the scene camera. How? You can move your head in rotation, side to side, up and down. You can tweak the sensitivity for this feature in the in-game tracker settings. The HUD elements in the lower right corner will dim when you're not looking at them to clean up your screen while you're playing. How? Look away from the HUD elements and you will see that it will gradually dim. Once you look at the HUD elements again it will instantly get into focus. The scene camera will automatically move in the direction of your target, adding target acquisition speed and accuracy to the game play. If necessary, fine adjust to shoot your enemy with the controller and then fire. How? Get your weapon ready, look at your target, hold [LT] and press [RT] to fire. When you initially start using your binoculars, the game will use the direction you were looking in rather than using the center of the screen. How? With the binoculars equipped, look at something, press [LT] to use your binoculars and you will have the binoculars pointing into the direction you were looking. Your gaze will adapt to different lighting scenarios in a more realistic way. Depending on where your character is located and moving towards. How? If you're standing inside a cave and you look towards the outdoors the light will adjust accordingly. If you're looking at something inside the cave, the outdoors will become bright as your eyes chooses to focus on the inside of the cave. 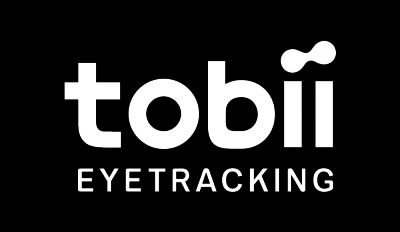 Go to the main menu by pressing the start button and select SETTINGS – TOBII TRACKER to see the options for the eye tracking features. You can set how sensitive you want the camera movement to be when looking in different directions.